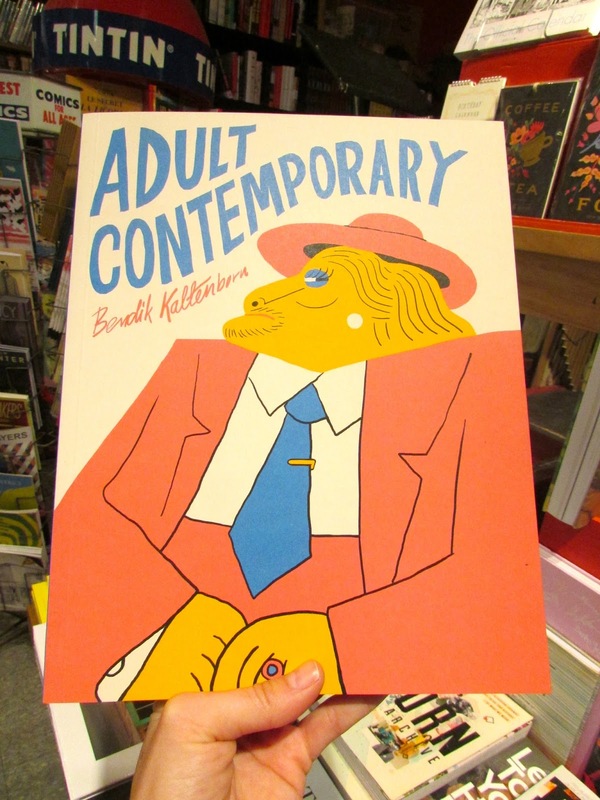 Adult Contemporary, by Norwegian artist Bendik Kaltenborn, is out today! The new Drawn & Quarterly title is an incredible mix of watercolours, sketches, and elaborate graphic strips, as well as fairy tales drawn on napkins in dark old pubs. Bendik writes in his “Did you know that…” section that one thing most of his characters have in common is a total lack of social skills and understanding. I will add that they all tend to wear fancy and vibrantly colourful suits! 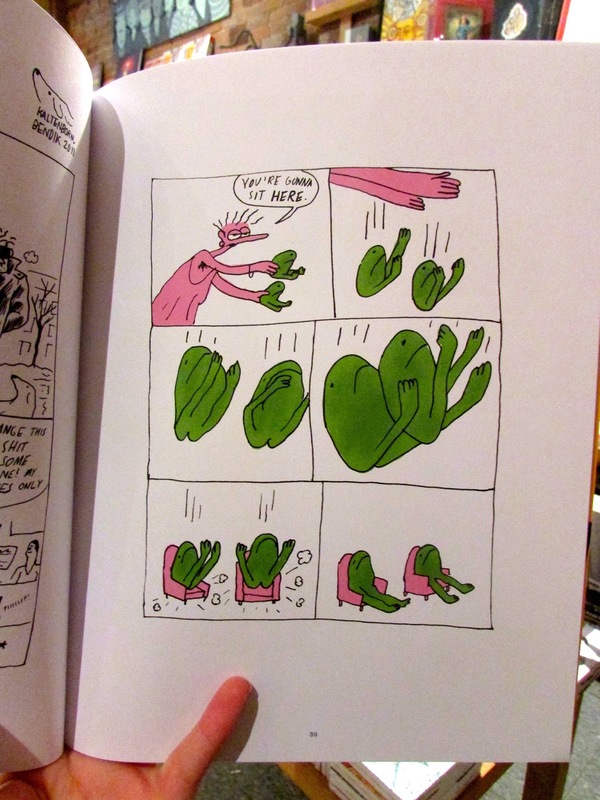 I was delighted by Kaltenborn's grim creatures and their weird jokes. For instance, how to resist a bunch of businessmen that randomly decide to adopt a spider? Not only that they look totally smitten by their new “bambini”, but they also decide to name the beast. Should it be named after a Norwegian author like Karl Ove Knausgaard, or simply take the name of J. D. Salinger or Leonard Cohen? You tell them. Adult Contemporary is a beautiful book! It oscillates between a technicolor nightmare, a sordid story (the kind you find in a newspaper clipping), and a magnificent record sleeve you wish you could frame. P. S. I especially loved The Wolf Hour, a comic series originally drawn for a Norwegian lit mag, Bokennen. It seems I’ve become particularly receptive to literary jokes, thanks to Drawn & Quarterly.